With tax season upon us, you may hear the moans and groans of having to put together all your documents and get ready to file. But filing your taxes doesn’t have to be the headache a lot of people make it out to be. 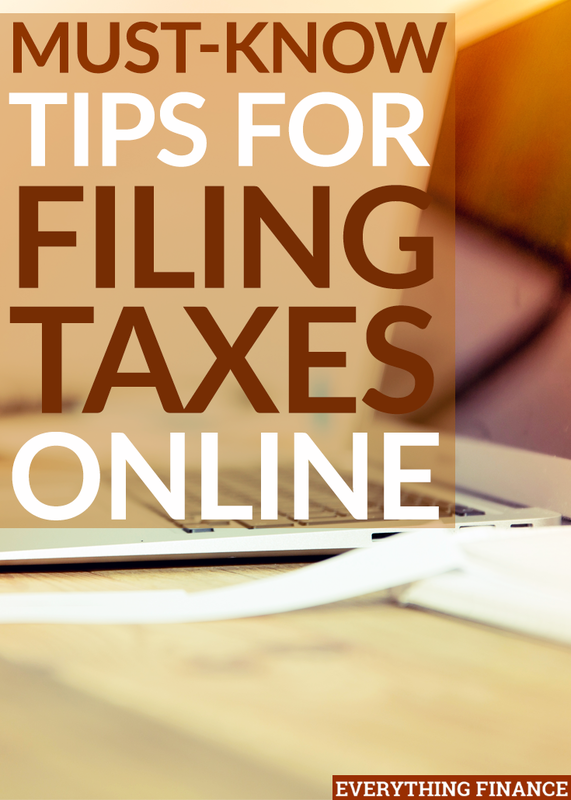 Here are some must-know tips for filing taxes online. Did you know that you can file your taxes online for free? The IRS lets you file taxes online with Free File. This section of the website has all federal forms readily available. There are two sections, split according to whether you make below $62,000 a year or above $62,000 a year. This website shows you how to use free file, lets you know about how the health care law will impact your taxes, and includes user guides, a getting started page, and even a help section. Everything you need to file your federal taxes for free is available on this section of the IRS website. If you make below $62,000 a year, you can use free tax preparation software to make it even easier to file your taxes. Some state returns are also available and may be free. Free File can help you find software to file your taxes for free online. If you make above $62,000 a year, you can use free fillable, electronic versions of the paper forms. You must know how to do your taxes yourself, but the website offers basic guidance and does some math for you. State tax prep is not available for those making above $62,000 a year. There are a variety of websites aside from the IRS that offer ways to file your taxes online. A popular one is TurboTax. Many customers cite the ease of use of this software as the number one reason for using it. Anything that makes tax filing easy is a major win in my book. H&R Block is the other heavily used tax filing software. It can be less expensive than TurboTax, but may require a bit more effort on your part as far as filing goes. A major reason many consumers prefer TurboTax is because of the ease of use, but if money is a factor, H&R Block can provide you with a similar experience for less. TaxAct allows everyone to file their federal return for free, but also offers premium versions for those with more complicated filings, such as homeowners, freelancers, and investors. One of the main advantages of filing taxes yourself online is that you’ll save a lot of money in tax preparation. However, going to a tax specialist may yield you a higher return due to their expertise. Essentially, it comes down to what is most important to you: saving time or money. How do you file taxes? Online, in-person, or via software on your computer?